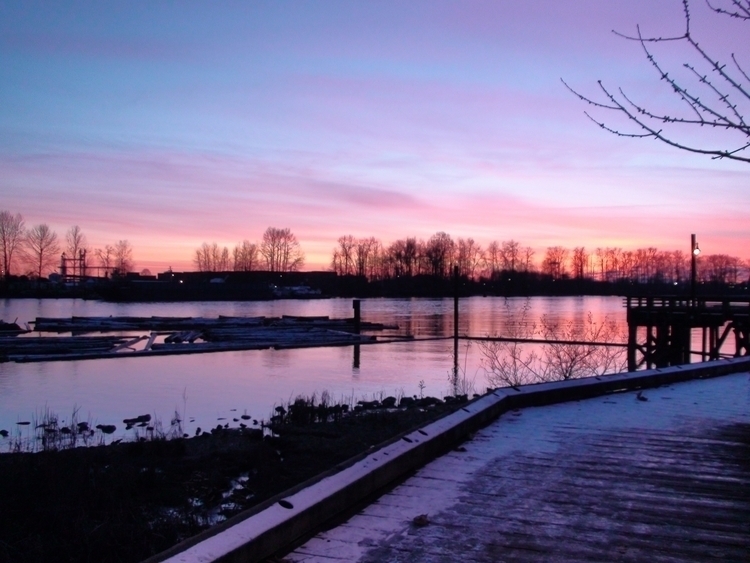 Sunset in December on the Fraser River in Vancouver. 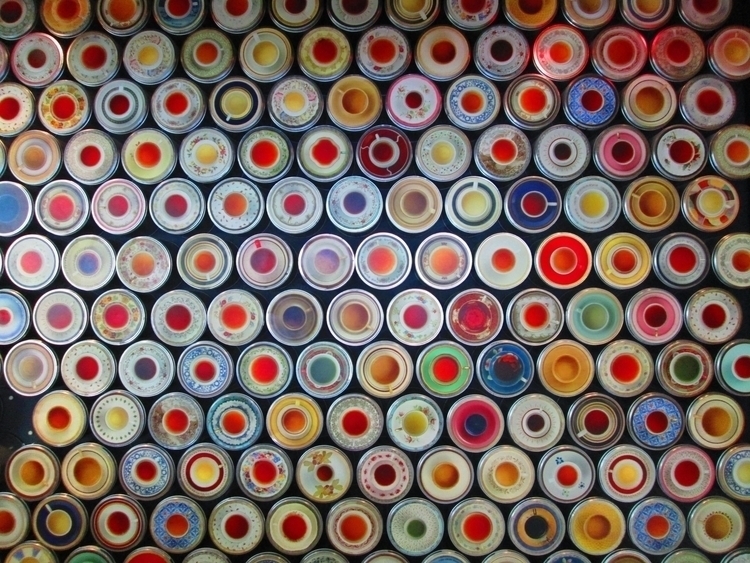 A wall of tea from the Great Wall of Tea Co. in New Westminster, BC. 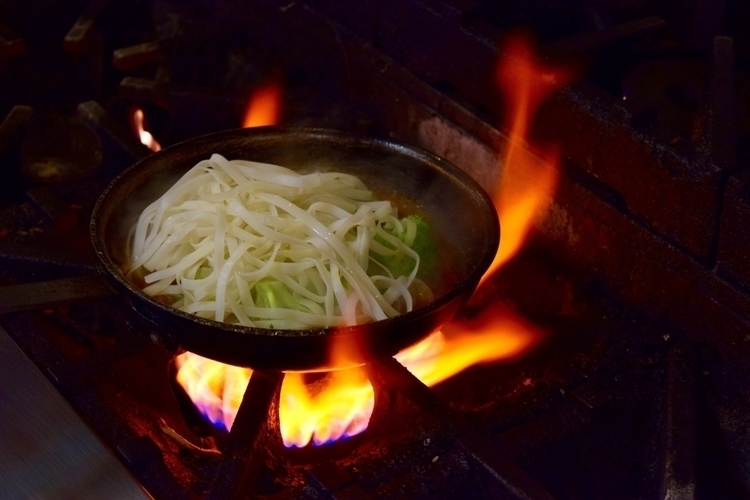 Stir-fried noodles on an open flame at the Wild Rice Market Bistro in New Westminster, BC. 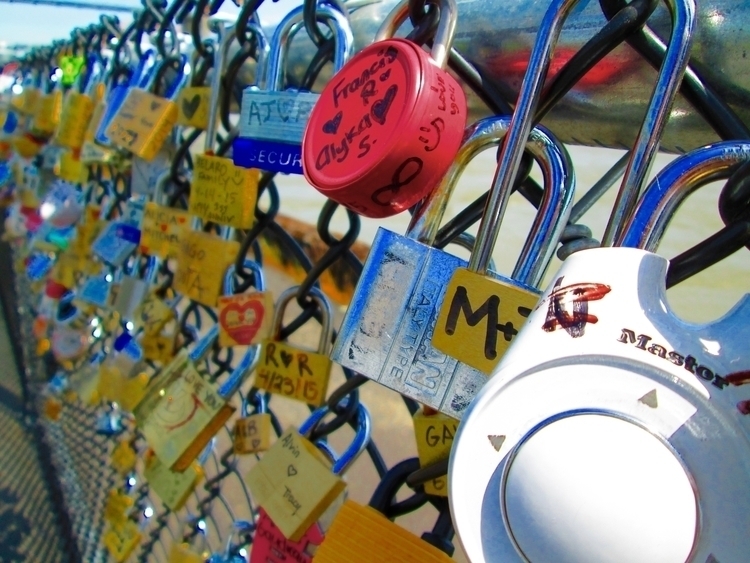 Love locks found in New Westminster, BC.